The subtitle of this marvelous book is "Altered art techniques for photographic imagery." And that’s just the tip of the iceberg of what’s included here. 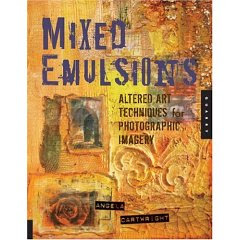 Angela Cartwright shares dozens of ways to alter your actual photos through different media and by utilizing different substrates for your work. 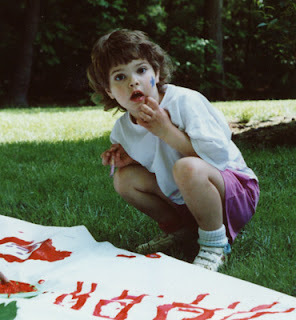 She covers tinting with oils or water media, stencils, bleaching, markers, gesso, encaustics, embossing, stamping, inks, sanding, and scratching the photo surface. Lots of ways to texture both the image and the frame are covered, along with collaging techniques, decollaging, and different methods of adding depth and dimension to the "frame" of the image. One of my favorite techniques that she explains is a gesso wash applied not only to your canvas substrate, but also over your image. It gives the images a beautiful aged look that blends into the background, especially if you’ve printed out your photos in black and white or in sepia tones. Most of the reviews of this book have been very positive, and I’d add my voice to that opinion!